I know when I change focal length of a zoom lens the physical length of it is changed. It's understandable: the optical parameters of the lens were changed. But what is going on when (auto-/manual-)focus is changed? What is changes in my primary fix lens if I focus on different distances? The physical length of the prime lens is the same. In general, how does (auto-/manual-)focus changing work and what is difference between focus changing and focal length changing? 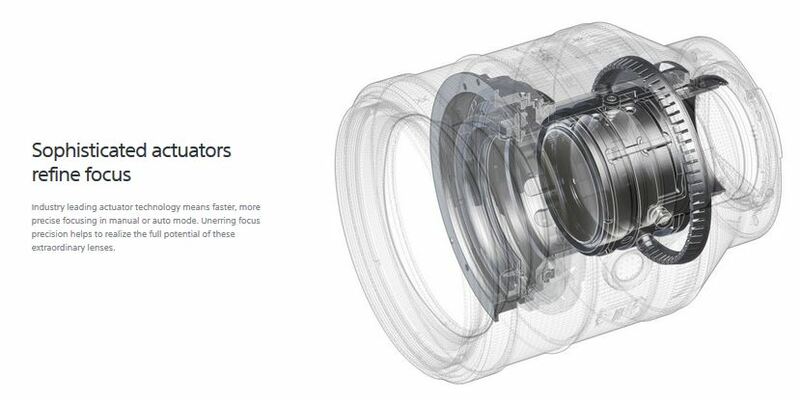 SONY alpha lenses, like many other brands, are internal focusing. Only the middle groups of the optical system are moved to achieve focusing, which leaves the total length of the lens intact. Benefits include fast autofocusing and a short minimum focusing distance. Also, the filter thread at the front of the lens does not rotate, which is convenient if you’re using a polarizing filter. This means that the actual length of the lens does not change during focusing. This was not always true. Nikon for example, only began manufacturing internal focusing lenses in 1976. They are designated IF. "Internal Focusing." In the old days, the entire lens had to move in and out to focus. Telephoto lenses had to be designed with huge focusing tracks just to let them focus at all, and they couldn't focus very close because the helicoids just weren't long enough. The long focal lengths meant that there were long distances the lens had to move to focus. Nikon discovered that one could focus the lens by just moving some elements around inside the lens barrel. IF lenses focus closer and faster than conventional telephoto lenses. IF was a fantastic innovation for telephoto lenses when Nikon invented it in the 1970s for the manual-focus super teles. Today, most modern AF zooms, super teles and some macro lenses use this technique. It helps AF lenses focus quickly because there is less glass to have to move around. The optical trick is that the internal elements move slightly to shorten the lens' actual focal length as one focuses closer. This lets these lenses focus very close. It also means that when compared to a traditional lenses that the IF lens will appear to have a slightly shorter focal length than marked at close distances. This discrepancy disappears at infinity. Some prime lenses are not technically IF. There are a lot of different ways lenses are designed. Some zoom lenses change length when zoomed. Others zoom by twisting a zoom ring. They might (EF 70-300mm f/4-5.6 IS) or might not (EF-S 55-250mm f/4-5.6 IS II) rotate the front element as they zoom. There are zoom lenses which both extend to zoom and move the front element in and out to focus. Some of those rotate the front element when focusing (EF 75-300mm f/4-5.6, EF-S 18-55mm f/3.5-5.6 IS II). There are zoom lenses which extend to zoom but have internal focus. There are other zoom lenses with both internal zoom and internal focus. Some lenses, including some prime lenses (lenses that don't zoom), move the front elements to focus and the physical length of the lens changes. Some of those, such as most macro lenses, will change length significantly. (MP-E 65mm 1-5X Macro). There are prime lenses that do change length when focusing. It just all depends on how each lens is designed. Some designs are cheaper to make, others are more expensive to make. Not the answer you're looking for? Browse other questions tagged autofocus focus manual-focus or ask your own question. Why doesn't the focal length in EXIF change when I manually focus my DSLR?